Richard Wernick: Sextet; Concerto for Cello and Ten Players; Piano Trio No. 1. Bridge Records 9480. Here are three masterfully crafted and powerfully expressive works from an exceptionally underappreciated American composer. (I say “exceptionally” because, as the late Steve Stucky once said to me, “we’re all underappreciated!”) Richly contrapuntal, the music is in a dissonant post-tonal idiom, finding coherence in its focussed use of striking motifs and economical harmonic vocabulary. The pitch language is nicely balanced between consistency and variety. When I was in the grad program at Penn, Wernick used to exhort my fellow students and I to “make your own tonality!” He does so in his own music and succeeds brilliantly. The sextet is scored for strings and piano – a piano quintet plus bass. The addition of the bass gives a quasi-orchestral weight to the vigorous passages here. But Wernick can also deploy his forces in a beguilingly delicate, Webernesque texture, as in the work’s opening Arioso. The Chamber Concerto is the earliest piece on the album. I am taken aback to realize I was at the premiere of this piece some 37 years ago, with the 21st (then 20th!) Century Consort conducted by Christopher Kendall, with Barbara Haffner as the soloist, as she is on this recording. I find this earlier piece to be more expressionist in style, more rhapsodic in shape than the later music on the disc (the Trio is from 1994; the Sextet from 2003.) There is a somewhat neo-classical character to the later music, though Wernick’s idiom is very different from that of, for example, the music of Stravinsky that is normally associated with that term. I remember especially admiring at the premiere – and I continue to admire now – the second movement of the concerto, one of Wernick’s grandest conceptions, a sixteen-minute passacaglia that very gradually builds and builds in density and power. The terse and animated outer movements of the Piano Trio contrast nicely with the contemplative middle movement, centered around a still point of repeated piano harmonics. It’s an all-star group playing the Trio, with Gregory Fulkerson, violin; Barbara Haffner, cello; and Lambert Orkis, piano; the players for the concerto and the Sextet are from the Chicago area, including members of the Lyric Opera’s orchestra, and are no less fine. Robert Trevino conducts the concerto. There’s lots of great stuff from Susan on YouTube, including Carter, Crumb, Davidovsky, Vivier, etc. For a start, here’s her Bridge recording of the third song in my Rilke cycle From a Book of Hours for chamber ensemble and soprano (the piece also exists in the original orchestral version). Christopher Kendall conducts the 21st Century Consort. There’s a perusal score of the chamber version below and the orchestral version is here. You can hear Donald play piano music of Scott Wheeler here; lots of Ives from Donald on YouTube as well. Reger is a composer many people love to hate – the pieces are said to be too long, the harmony too wanderingly chromatic. (Not everybody; Rudolf Serkin was a fan.) But the two clarinet sonatas of Op. 49 are only about 20 minutes long each, and with a bit of patient listening, the harmonic labyrinths of this late romantic music become less forbidding. Along with Reger’s slightly longer sonata Op. 107, they deserve to be heard much more frequently as alternatives to the Brahms sonatas on clarinet recitals. The three sonatas plus a couple of very brief character pieces make up this wonderfully performed disc, notable for the sheer beauty of sound achieved by both players. Francis Poulenc: Music for Piano (1918-1959). Aleck Karis, piano. Pierre Boulez: Complete Music for Solo Piano. Marc Ponthus, piano. Yes, both composers are French, but they couldn’t occupy more contrasting places on the aesthetic spectrum. What’s consistent across these two albums is the high quality of the piano playing. Ponthus commands the extremes of Boulez’s piano writing with dazzling and heroic virtuosity. No heroism is called for by Poulenc, but the many short movements of these pieces do require deft characterization, only possible with Karis’s command of subtle and varied nuances. I’m afraid the astounding brilliance of Marc Ponthus’s playing did not change me into a big Boulez fan. I find the relatively late Incises (in its 2001 version) and the very early Douze Notations (1945) to be more attractive than the three sonatas. The shattered narrative of the Third Sonata – like handfuls of multi-colored glass shards – simply doesn’t sustain my interest. The Second Sonata has become something of a repertoire piece, but if you are looking to program a big mid-century atonal piano sonata I would suggest the Sessions 3rd, Rochberg’s Sonata-Fantasia, Wolpe’s Battle Piece (a sonata in all but name), or, dating from a little later, the Wuorinen 2nd, or the two sonatas of Richard Wernick (only the First seems to be on YouTube), all much less widely played works that appeal to me more than the Boulez sonatas. Perle composed prolifically for the piano. The listing at georgeperle.net includes 20 solo pieces, in addition to concerted works. * Perhaps we don’t think of him as a piano composer the way we should because he eschewed the heroic and preferred smaller forms. Many of the pieces are comprised of multiple short movements – the eight pieces on Brown’s disc amount to 38 tracks. There’s nothing in his catalog like the Wolpe Battle Piece, Sessions’ Third Sonata, Shapey’s 21 Variations, Martino’s Pianississimo, etc. I don’t mean to suggest Perle’s achievement is slight – this is an important body of substantive music. But the music tends to be succinct, not rhapsodic. The preference is for lean writing rather than great washes of sound. Yet there is also considerable variety here. In addition to the fleet toccata textures that are Perle’s most typical voice, Brown’s album offers the introspective mood of the five movements that make up Lyric Intermezzo (1987), the biggest set on the album, and the expressionistic Short Sonata (1964), fierce of gesture and alert in its juxtapositions. The album encompasses nearly six decades of composing, so it’s natural that there are stylistic changes represented. The earliest piece, a Classic Suite from 1938 actually hints at Ravel in a few spots. Perle’s piano music has been decently represented on disc with much of the catalog available in fine performances. 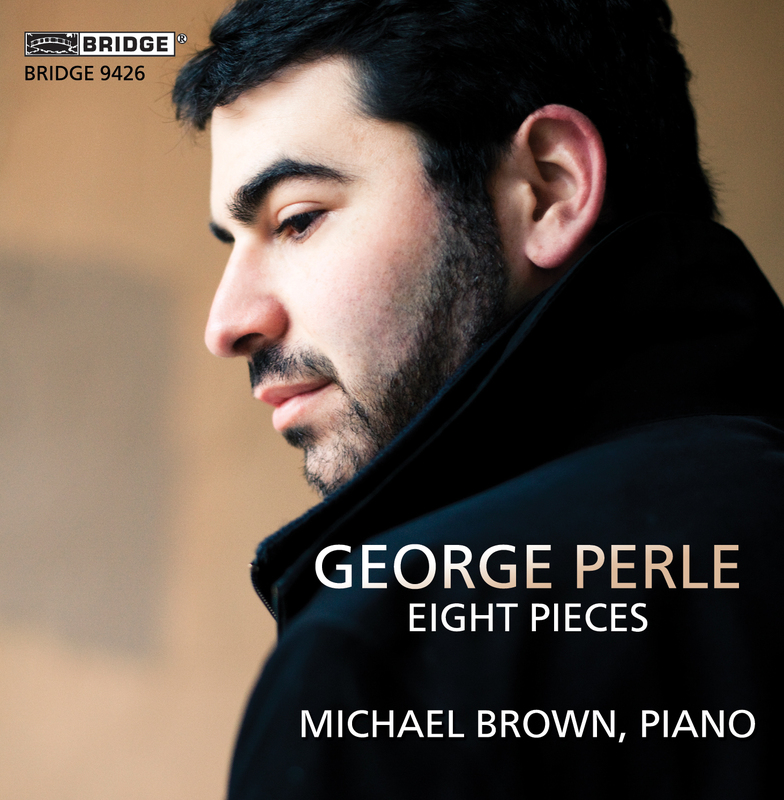 Among other albums, there is an all-Perle disc by Michael Boriskin on New World; several solo piano pieces are included on a 2-disc Perle retrospective on Bridge (this album also includes the Serenade No. 3 for piano and chamber orchestra and the Piano Concerto No. 2 **), the recent Fleisher disc includes Musical Offerings, composed for the pianist in 1997/1998; and Russell Sherman’s take on the Six Celebratory Inventions is on a disc from Gunther Schuller’s GM Recordings. *) There is a Soliloquy recorded by Michael Borisken that does not appear on the Perle website list. **) The Serenade is apparently the same recording that was issued on a Nonesuch disc that is still available as a download at Amazon. The Nonesuch album includes Richard Goode’s performance of the Ballade, the work’s only recording.